Smoky & hot, yet gentle, balanced, and ingratiatingly quaffable. ‘Asian beauty’ is difficult to define, but one knows it when one sees it. Long, silky black hair, supple skin, and a delicately nuanced sort of femininity are attributes featured in our depiction. 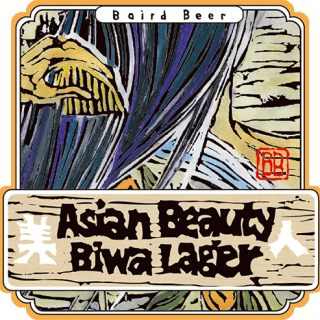 The kanji characters on the label (美人- bijin) literally mean ‘beautiful person’ and the word is used when describing a beautiful woman. I love smoky Stouts. I also love food featuring the heat from Habanero peppers. A few years back it dawned on me that the two might work well in combination. Sure enough, they do. The smokiness of this Stout, courtesy mainly of Beachwood-smoked base malt from Germany, registers first – distinctly yet not cloyingly. The heat, from local garden-grown Habanero peppers, comes last – but gently and in a way that manages to be both lingering and fleeting at the same time. This is a lovely Stout and so representative of our ‘less is more’ approach to the crafting of unique and characterful beer.